I began Black Ice wearily. 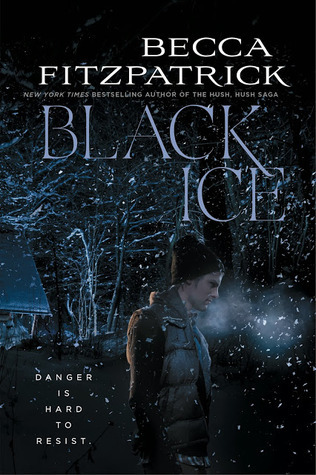 Fitzpatrick’s Hush, Hush series was a guilty pleasure of mine but Finale left something to be desired and I really debated even reading Black Ice. But I am glad that I did! Black Ice is completely different than Hush, Hush and took me on a twisty-turny story of survival. Britt has been training for a backpacking trip through the Teton Mountain Range. After her boyfriend broke up with her Britt wants to prove to him, and to herself, that she can make this trip. But her plans get derailed and she ends up stranded in a snowstorm with her best friend. The girls have no choice but to seek refuge in a remote cabin, a cabin inhabited by two fugitives. Britt strikes a bargain with the men, she will lead them off the mountain and they won’t kill her. This novel was a total thriller! I was instantly engaged by Becca’s writing, it was so easy to get sucked in to the story. I didn’t trust any of the characters and it was fun to riddle out their motives along with Britt. Britt was an interesting main character. At times she was a bit immature, especially when it came to her ex, but this immaturity was a good foil to the perfect student, perfect daughter image Britt felt she had to portray. My favorite thing about Black Ice though was the way the story continued evolving. At first it was a coming of age hiking story, then it was a story of escape, and finally it became a survival story where Britt was forced to battle the elements and her captors. Overall, Black Ice was a thrilling psychological story of survival. I was constantly questioning characters motivations and if Britt was going to make it out alive. This is definitely a book to read curled up with a blanket on a snowy day.